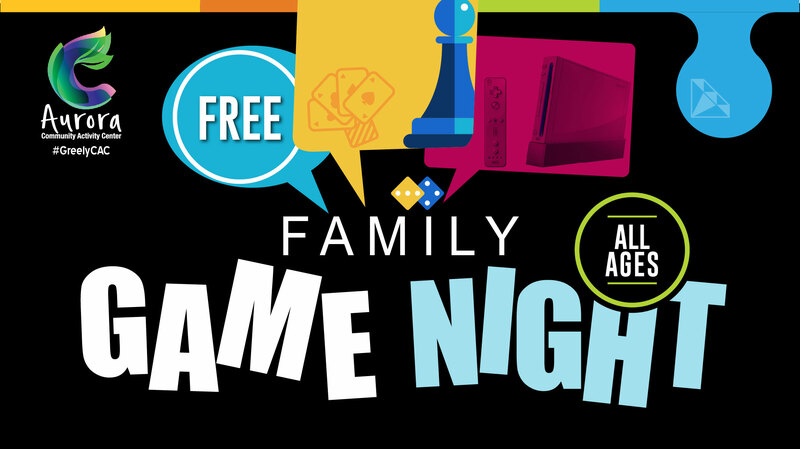 Date: Oct 2 2018, 5:30 p.m. - 7:30 p.m.
Join us the first and third Tuesday of the month for Family Game Night! Bring your family and get ready to play our selection of modern and classic games. Board games and Wii video games will be available at the Aurora CAC each month, allowing you to learn about and try different ones. No experience necessary, all ages welcome.